We're here to guide you along the way to your MSSW! Wednesday, May 8th. 6:30 - 7:45pm EST. Virtual, online session. Tuesday, May 21st. 5:00 - 6:45pm. In person, on campus. Admission to the Kent School of Social Work is competitive. The selection process includes an evaluation of each applicant’s demonstrated and potential abilities as a student, practitioner and leader in the social work field. Applicants to the MSSW program should utilize the Application Checklist to ensure that all application requirements and relevant deadlines are met. An undergraduate GPA of 3.00 is recommended for you to be considered for admission to Kent School. Applicants to the MSSW program must have a bachelor’s degree from a regionally accredited institution of higher learning. 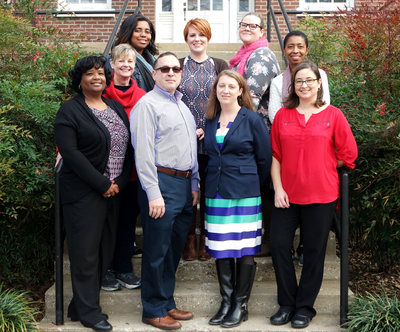 The Kent School also accepts graduate elective credit from employees in the Protection and Permanency Division at the Cabinet for Health and Family Services who have completed Credit for Learning (CFL) courses. Admission materials can be sent all at once to Graduate Admissions or one at a time as they are completed. Applications will be reviewed by the Admissions Committee only when complete, after which there is typically a 6-8 week turnaround time for an admissions decision. Please note that the Admissions Committee reserves the right to interview any applicant at their discretion. All materials must be received by Graduate Admissions by the deadline for your preferred Curriculum Plan. Questions about our application process? Take a look at these "How to" videos. Applications submitted after December 15th for 30-hour Advanced Standing Specializations and 81-hour MSSW-CFT will be considered only if space in a specialization allows AND if an appropriate practicum site is readily available. Applications for a Fall start submitted after May 30th will be considered on a case-by-case basis if space allows and only if the applicant is willing to choose a curriculum plan that delays practicum until the following year (Plans C-F for 60-hr, and plans EE/FF for 30-hour; 30-hour students must also be working at a social service agency in order to execute the year-long research project). Click here for Admissions FAQs!